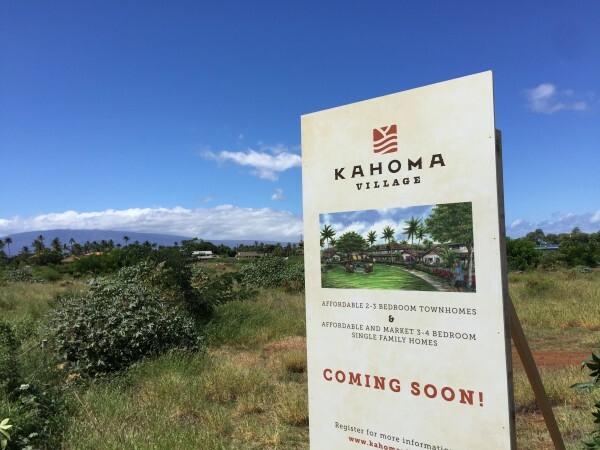 If you've driven north along the Honoapiilani Hwy in Lahaina recently, you may have noticed the sign that went up advertising 2-3 bedroom townhomes and 3-4 bedroom singly family homes in the potential soon-to-be neighborhood called Kahoma Village by developer Stanford Carr. With the sign going up, you could say they technically broke ground last Friday. However, if you pay particular attention to what the sign actually reads, we learn very little (from a sales perspective). 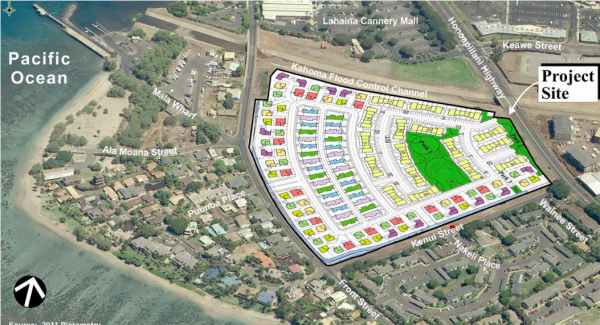 - According to public & media reports, the continued delay for Kahoma Village is from an independent group fighting the project that calls themselves Protect and Preserve Kahoma Ahupua'a Association. - Protect and Preserve Kahoma Ahupua'a Association has already been denied by the circuit courts and The Maui County Planning Commission on their issues with the project. However, they are appealing to higher courts and pursuing a contested case hearing forcing Stanford Carr to delay any sales offering for the time being. - To learn more about PPKAA's stance, you'll have to see the following links as no official website could be located. You'll find references to Gettysburg, Thomas Jefferson, God, Corinthians, Proverbs. You can also find out more info simply "Googling," Kahoma Village. Affordable Units: What Are the Qualifications? The U.S. Department of Housing and Urban Development (HUD) sets income limits that determine the eligibility of applicants for its assisted housing programs. The Hawaii Housing Finance & Development Corp publishes the Maui County Affordable Income Schedules where you'll find income limits and various family size breakdowns. Again, no priority or reservation "lists" for the affordable units are being kept at this time.